Posadas, Benedict C. 2021. Economic Analysis of Producing Softshell Blue Crabs in Ponds. Manuscript in preparation. Posadas, Benedict C. 2021. Economic Analysis of Producing Surimi from Catfish By-Products. Manuscript in preparation. Peterman, Mark, and Benedict C. Posadas. 2019. Direct Economic Impacts of Fish Diseases on East Mississippi Catfish Farming. North American Journal of Aquaculture. Manuscript in review. Posadas, Benedict C., and Mark Peterman. 2018. Measuring the Economic Impacts of Aquatic Animal Diseases: The Case of Catfish Farming. Abstract submitted to Aquaculture 2018, Las Vegas, Nevada. February 19-22, 2018. Abstract published. Posadas, Benedict C. 2017. Commercial Catfish Production in the United States. Mississippi MarketMaker Newsletter, Jun. 20, 2017. Vol. 7, No. 12. Posadas, Benedict C. Know Your Local Farm-Raised Catfish Growers! Mississippi MarketMaker Newsletter, Vol. 6, Issue 5, Mar. 24, 2016. Posadas, Benedict C. Direct Employment and Income Impacts of Aquaculture Production in the United States and Major Producing States. Abstract submitted to Aquaculture 2016, Las Vegas, Nevada. February 22-26, 2016. Abstract published. Posadas, Benedict C. Promote Your Fishfarming Business Using the National Food MarketMaker Program. Abstract submitted to Aquaculture 2016, Las Vegas, Nevada. February 22-26, 2016. Abstract published. Hanson, Terry R. Benedict C. Posadas, Tzachi Samocha, Alvin D. Stokes, Thomas M. Losordo, Craig L. Browdy. 2009. Economic Factors Critical to the Profitability of Super-Intensive Biofloc Recirculating Shrimp Production Systems for Marine Shrimp Litopenaeus Vannamei. In pages 267-283 Browdy, Craig L., and Darryl E. Jory (eds.). Rising Tide, Proceedings of the Special Session on Sustainable Shrimp Farming, World Aquaculture 2009. The World Aquaculture Society, Baton Rouge, Louisiana. Posadas, Benedict C., and Terrill R. Hanson. 2006. Economics of Integrating Nursery in Indoor Bio-secure Recirculating Saltwater Shrimp Growout Systems. In pages 279-289 PingSun Leung and Carole Engle (eds.). Shrimp Farming: Economics, Market, and Trade. Blackwell Publishing, Ames, Iowa. Posadas, Benedict C. 2005. Potential Economic Impact of Commercial Offshore Aquaculture in the Gulf of Mexico. MASGP 04-036. Online Proceedings of the 2004 IMPLAN Users Conference sponsored by the National Marine Fisheries Service in Shepherdstown, West Virginia on October 6-8. Hanson, Terrill R., Lisa O. House, and Benedict C. Posadas. 2004. U.S. Consumer Perceptions, Attitudes Toward Farm-Raised Catfish. Global Aquaculture Advocate, 7(1): 27-29. Posadas, Benedict C. 2004. Effects of Two Pelletized Feed Formulations on Experimental Freshwater Prawn, Macrobrachium rosenbergii, Pond Production, Processing, and Costs. Journal of Applied Aquaculture, 16(3-4): 155-165. Posadas, Benedict C., and Christopher J. Bridger. 2004. Economic Feasibility and Impact of Offshore Aquaculture in the Gulf of Mexico. In pages 109-127, Bridger, C.J., (ed.). Efforts to Develop a Responsible Offshore Aquaculture Industry in the Gulf of Mexico: A Compendium of Offshore Aquaculture Consortium Research. MASGP-04-029. Mississippi-Alabama Sea Grant Consortium, Ocean Springs, Mississippi. Hanson, Terrill R. and Benedict C. Posadas. 2004. Bio-Economic Modeling of Recirculating Shrimp Production Systems. In T. T. Rakestraw, L. S. Douglas, and G. F. Flick (eds.) Proceedings of the 5th International Conference on Recirculating Aquaculture, 55:144-151. Virginia Polytechnic Institute and State University, Blacksburg, Virginia. D’Abramo, Louis R., Cortney L. Ohs, Mack W. Fondren, James A. Steeby, and Benedict C. Posadas. 2003. Culture of Freshwater Prawns (Macrobrachium rosenbergii) in Temperate Climates. Bulletin 1138. Mississippi Agricultural and Forestry Experiment Station, Mississippi State, Mississippi. Hanson, Terrill, Lisa House, S. Sureshwaran, Benedict Posadas, and Angel Liu. 2003. U.S. Consumer Opinions of Oysters: Results of 200-2001 Survey. AEC Research Report 2002-2005. Department of Agricultural Economics, Mississippi State University, Mississippi State, Mississippi. Hanson, Terrill R., Lisa O. House, S. Sureshwaran, Benedict C. Posadas and Angel Liu. 2003. Opinions of U.S. Consumers Toward Oysters: Results of A 2000-2001 Survey. Bulletin 1133, Mississippi Agricultural and Forestry Experiment Station, Mississippi State, Mississippi. Posadas, Benedict C. and Christopher J. Bridger. 2003. Economic potential of offshore aquaculture in the Gulf of Mexico. Pages 307-317 in Christopher J. Bridger and Barry A. Costa-Pierce (eds.). Open-Ocean Aquaculture: From Research to Commercial Reality. The World Aquaculture Society, Baton Rouge, Louisiana. Posadas, Benedict C., Sula C. Walters and Ronald D. Long. 2003. Effects of Using Artificial Substrates on Experimental Freshwater Prawn Macrobrachium rosenbergii Pond Production in Coastal Mississippi. World Aquaculture, 34(2):47-50. Posadas, Benedict C., Sula C. Walters, and Ronald D. Long. 2002. Effects of Using Different Protein Levels on Freshwater Prawn Macrobrachium rosenbergii Pond Production. World Aquaculture, 33(4): 41-43. Posadas, Benedict C., S. C. Walters and R. David Long. 2001. Growout Tests of Freshwater Prawn Finds Effects of Feed Protein Levels Limited. Global Aquaculture Advocate, 4(4): 28-29. Bridger, C. J., B. A. Costa-Pierce, C. A. Goudey, R. R. Stickney, K. M. Fletcher, J. R. Gold, D. H. Lewis, J. Lotz, Benedict C. Posadas, E. Neyrey, R. Rayburn, T. Reid, C. Moncrieff, R. Vega, and D. L. Swann. 2001. Sustainable Offshore Aquaculture Development in the Gulf of Mexico. World Aquaculture, 32(3): 28-33. Posadas, Benedict C. 2001. Comparative Economic Analysis of Using Constructed Wetlands in Recirculating Catfish Pond Production. Journal of Applied Aquaculture, 11(3): 1-20. Posadas, Benedict C. 2000. Tilapia Marketing in the Northern Gulf of Mexico Region. Pages 91-99 in Costa-Pierce, B. C. and J. E. Rakocy (eds.). Tilapia Aquaculture in the Americas. Vol. 2. World Aquaculture Society, Baton Rouge, Louisiana. Posadas, Benedict C. 2000. Costs and Returns of Producing Catfish in the Mississippi Black Belt Area. Technical Bulletin 226. Mississippi Agricultural and Forestry Experiment Station, Mississippi State, Mississippi. Posadas, Benedict C. 1998. Evaluating the Use of Constructed Wetlands in Producing Catfish in Multi-enterprise Farming in Mississippi Black Belt Area. UMI Dissertation Services, Ann Harbor, Michigan. Posadas, Benedict C., M. W. LaSalle and C. David Veal. 1998. Use of Constructed Wetlands to Improve Water Quality in Finfish Pond Culture, Phase II. Final report submitted to U.S. Department of Agriculture under award number 95-01777. Mississippi State University, Coastal Research and Extension Center, Biloxi, Mississippi. LaSalle, M. W., Benedict C. Posadas and C. David Veal. 1998. Use of Constructed Wetlands to Improve Water Quality in Finfish Pond Culture, Phase II. Final report submitted to the U.S. Department of Commerce under grant number NA67FD0033. Mississippi State University, Coastal Research and Extension Center, Biloxi, Mississippi. Posadas, Benedict C., and M. W. LaSalle. 1997. Use of Constructed Wetlands in Finfish Pond Culture. Final report submitted to U.S. Department of Agriculture under award number CSRS 93-34214-8842. Mississippi State University, Coastal Research and Extension Center, Biloxi, Mississippi. Posadas, Benedict C., and James G. Dillard. 1997. Operational Characteristics and Costs of Producing Catfish in the Black Belt Area of Mississippi. Agricultural Economics Research Report No. 203, Mississippi State University, Mississippi State, Mississippi. Fitzsimmons, Kevin, and Benedict C. Posadas. 1997. Consumer Demand for Tilapia Products in the US and the Effects on Local Markets in Exporting Countries. In The Proceedings of the Fourth International Symposium on Tilapia Aquaculture, 4:613-632. Northeast Regional Agricultural Engineering Service, Ithaca, New York. Posadas, Benedict C. 1994. Monthly Wholesale Price Analysis of Hybrid Striped Bass. Final Report. Mississippi State University, Coastal Research and Extension Center, Biloxi, Mississippi. Posadas, Benedict C., and Jurij Homziak. 1993. Costs and Returns of Open Versus Closed Systems for Producing Soft-Shelled Crawfish in Mississippi. Journal of Applied Aquaculture, 2(1): 85-103. Homziak, J., and B. Posadas. 1992. Preliminary Survey Of The Tilapia Markets In North America. In The Proceedings of the Forty-Second Annual Gulf and Caribbean Fisheries Institute, 42:83-102. Posadas, Benedict C., and Jurij Homziak. 1992. Economics of Soft Shell Crawfish Production in Mississippi. In Aquaculture Magazine, 17(4): 59-64. Homziak, J., and B. Posadas. 1991. Producing Soft Crawfish in Mississippi: Is It For You?Cooperative Extension Service Publication 1780, Mississippi State, Mississippi. Posadas, Benedict C., and Jurij Homziak. 1991. Enterprise Budgets for Soft Crawfish Production in Mississippi. 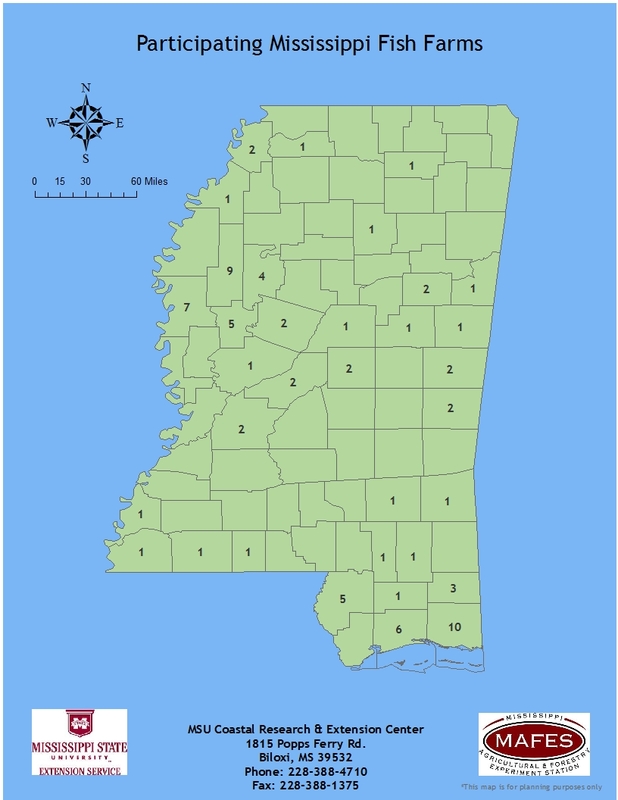 Cooperative Extension Service Publication 1812 and Mississippi-Alabama Sea Grant Publication Number 91-012. Mississippi State, Mississippi. Posadas, Benedict C., and Jurij Homziak. 1991. Survey of Hybrid Striped Bass Fry and Fingerling Producers. In Aquaculture Magazine, 17(1): 39-45. Posadas, Benedict C., and Jurij Homziak. 1991. Commercial Output and Price of Striped Bass and Hybrids. Final Report. Mississippi State University, Coastal Research and Extension Center, Biloxi, Mississippi. Homziak, J., and B. Posadas. 1989. Aquaculture Infrastructure Assessment. Final report submitted to Jackson County Economic Development Commission, Pascagoula, Mississippi. Posadas, B. 1988. Economic Analysis of Various Prawn Farming Technologies. In Chiu, Y., R. Juliano, and L. Santos (eds.). Technical Considerations for the Management and Operation of Intensive Prawn Farm. UP Aquaculture Society, Iloilo City, Philippines, p. 1-13. Fortes, R.D., B. Posadas, R.R. Cajilig, L. Baylon, E. Pudadera and I. Belleza, 1988.Technology Assessment For Prawn Production In Western Visayas. PCARRD-IDRC Project, U.P. in the Visayas, College of Fisheries, Miag-ao, Iloilo. Posadas, B. 1988. Social and Economic Analysis of Seaweeds Industry in Selected Areas in the Philippines. Final report submitted to the Asian Fisheries Social Science Research Network, International Center for Living Aquatic Resources Management, Makati, Philippines. Chiu, Y., B. Posadas, and V. Estilo. 1987. Strategy for a Cost-Benefit Analysis in the Conversion of Mangrove Areas to Aquaculture. In Report of the Workshop on the Conversion of Mangrove Areas to Aquaculture. UNDP-UNESCO Research and Training Pilot Programme on Mangrove Ecosystems in Asia and the Pacific (RAS/79/002), New Delhi, India, p. 86-95.